» Can Cats Eat Peanut Butter? Looking for a healthy and tasty treat for your cat? If you’re hoping to deviate from classic meaty treats, peanut butter may come to mind as a delicious alternative. And why not? Dogs are well known for their love of peanut butter, and many dog treats on the market include this delicious nut butter. The truth is that cats tend to be a bit pickier than their canine counterparts, though some kitties will happily lap it up. But the real concern is this: can cats eat peanut butter? Can Kittens Eat Peanut Butter? Cats are carnivores, and their bodies, from their teeth down to their toes, are built specifically to ingest and metabolize meat. While cats fare best on a strictly carnivorous diet, many enjoy a non-meat treat once and a while. This cat is certainly enjoying his peanut butter. Some human foods, such as chocolate and grapes, are poisonous for cats. Thankfully, peanut butter is not on that list! If your cat likes peanut butter, you can feel free to give them a little taste once and a while, as long as you do so in moderation, much like the way you can give cats almond milk. However, there are a few things to keep in mind before opening that jar. Peanut Butter is a delicious and relatively healthy human food. But the same vitamins, proteins, and minerals that make peanut butter nourishing to humans don’t do very much for cats. In fact, peanut butter is pretty much nutritionally useless to our feline friends. Moreover, the high fat content in peanut butter can actually be detrimental to our cat’s health. You could pretty much compare it to how nutritious Nutella is for humans. Which, obviously, isn’t all that much. If your kitty really enjoys it, it’s fine to give them a few licks (no more than ¼ of a teaspoon) once and a while, but remember that it has no nutritional value for cats and can be dangerous in high quantities. 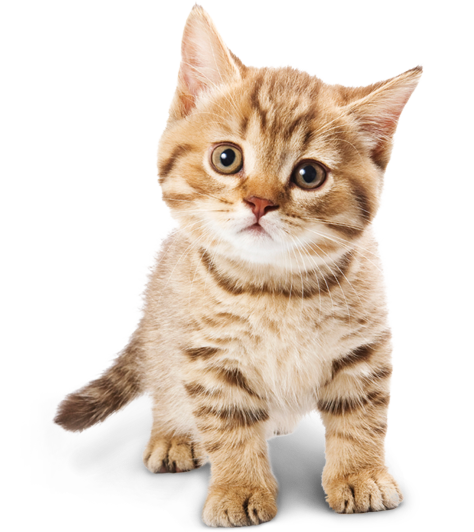 Kittens, unlike their adult counterparts, should be given a consistent and healthy diet of high quality kitten food, and not much else. Kittens are still in their growing stage, and rely on you, their human parent, to give them only the best nutrition. There is really no reason to give a kitten peanut butter, as it contains no nutritional benefit and it’s sticky consistency and high fat content can pose problems for a tiny kitten. If you want to give your kitten something special, stick to a high-quality treat created specifically for kittens. Some cats may take a liking to peanut butter and beg for it every time you open the jar! If your cat is like this, you may feel tempted to give in to their begging and give them a taste. Give your cat a taste of a natural peanut butter, preferably organic and one that doesn’t contain a lot of sugar. Only give them a tiny taste! A lick or two is more than sufficient, and any more can cause digestive problems such as diarrhea or vomiting. Make sure your cat doesn’t choke. The sticky consistency of peanut butter can make it hazardous for cats. Just a tiny taste shouldn’t create any problems, but keep an eye on them anyway to make sure they swallow it without problems. If your cat really loves the taste of peanut butter but you aren’t comfortable giving it to them off a spoon, there are some treats you can make for your cat at home that contain small amounts of peanut butter. Just enough for them to enjoy the taste, but not too much that it poses a danger! Keep in mind that there are many other cat treats on the market that your cat might even like better than ones with peanut butter. Meaty treats that contain chicken, fish, or even beef are generally popular with our feline friends and come in a variety of textures, shapes, and sizes. Some cats are very serious about their treats! So, Can Cats Eat Peanut Butter? Only give your cat a natural, low sugar peanut butter. Avoid high sugar peanut butter or peanut spreads, and take care not to give them too much of the oil from the top if the peanut butter separates. Offer your cat tiny licks of peanut butter, never give them big globs of it! Less than half a teaspoon is appropriate, and that may even be too much for a small cat. Offering them a tiny bit on your finger is a good way to make sure they don’t ingest too much. Make sure your cat doesn’t have any trouble swallowing peanut butter. The sticky texture may make it hard for them to eat. Monitor your cat after they eat peanut butter. If your cat experiences diarrhea or any other sign of intestinal distress such as vomiting, don’t give them peanut butter again. Another nut that people may wonder about is cashews, and if cats can eat them? Is your cat crazy for peanut butter? Tell us how you manage their peanut butter cravings in the comments!